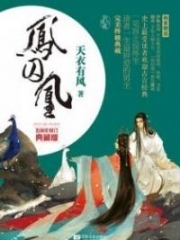 You’re reading novel Chaotic Sword God Chapter 1337: Treasury Of The Tao Family (One) online at LightNovelFree.com. Please use the follow button to get notification about the latest chapter next time when you visit LightNovelFree.com. Use F11 button to read novel in full-screen(PC only). Drop by anytime you want to read free – fast – latest novel. It’s great if you could leave a comment, share your opinion about the new chapters, new novel with others on the internet. We’ll do our best to bring you the finest, latest novel everyday. Enjoy! Lan Jing, Xin Pian, and Mochas on the other hand did not hurry to speak their thoughts. They looked at one another and were rather hesitant. They were originally the disciplinary elders of the Heaven’s Spirit Hall and had once partic.i.p.ated in the pursuit of Jian Chen with the divine generals of the Serpent G.o.d Hall, so they had been forced to follow Jian Chen with no other choice, similar to Tai Dou. “I thank the ruler for your intentions. We are already extremely grateful that the ruler is willing to allow us to return to the Heaven’s Spirit Hall, so how can we accept a gift from you? We are not worthy of accepting it…” Xin Pian replied. He felt ashamed because, from a certain perspective, their lives already belonged to Jian Chen. They already felt so shameful that they could not look back at Jian Chen when they actually wanted to leave right now. However, the Heaven’s Spirit Hall just held an extraordinary position in their hearts. They really did want to return if they could. Lan Jing, Xin Pian, and Mochas all raised their heads to look at Jian Chen as shock filled their faces. They did not doubt what Jian Chen had said. After all, he was already an emperor now, so why would he lie? What they found unbelievable was that Jian Chen would actually give them something so valuable. The three of them felt utterly ashamed when they thought about how Jian Chen had given them their freedom and was even giving them such a great gift. Lan Jing, Xin Pian, and Mochas all bowed at Jian Chen before leaving the hall. With a wave of his hand, Jian Chen threw a ring at Qing Yixuan who was currently staring at him in a daze. He said, “Qing Yixuan, the Tao family no longer exists in the sea realm from today on. That’s the s.p.a.ce Ring on Tao Zhengtian. Have a look and see if what you need is in there.” The s.p.a.ce Ring hovered before Qing Yixuan as an invisible force kept it in the air. Qing Yixuan only seemed to return to her senses then. She grabbed the s.p.a.ce Ring absent-mindedly and began to search through it. A while later, she became slightly disappointed and said, “There isn’t what I need in it. However, the Tao family has a treasury that not many people know about. Most of their valuable treasures and important items are stored there. I think the item I’m looking for is in there.” With a flick of her finger, she immediately sent the s.p.a.ce Ring back to Jian Chen. “Do you know the location of the treasury?” Jian Chen calmly asked. Even though it was the treasury of an ancient peak-level clan, there was rarely anything that could interest Jian Chen now. He had reached a new level of understanding, so ordinary treasures were like nothing to him now. However, the Turtle clan lacked resources right now, so the acc.u.mulated resources of the Tao family just happened to be able to make up for that fact. “I know where it is, but before we go, I want to confirm something with you. Are you a Saint Emperor or not?” Qing Yixuan asked as she stared fixedly at Jian Chen. Although she had personally witnessed Jian Chen’s great fight against the hall master, she still refused to believe that someone, who was not even as strong as her when they first met, could actually become a Saint Emperor in such a short amount of time. After all, Jian Chen was not even a Saint King when he had first stolen the Octoterra Map fragment from her. “I’m still not a Saint Emperor, but if I really end up fighting, I am no weaker than a Saint Emperor,” Jian Chen faintly smiled. “Ruler, the ancestor of the Enlan clan has come to visit. He wishes to see the ruler.” At this moment, a guard ran in from outside and politely reported the arrival of an envoy. “The Enlan clan?” Jian Chen softly repeated the name. He was not unfamiliar with the name. It was one of the powerful clans in the territory of the Sea G.o.ddess Hall, no weaker than the Tao family. Many other important figures from various organizations and clans had come to visit the Turtle clan after the Enlan clan. They were all large organizations that reigned supreme in certain regions of the Sea G.o.ddess Hall. Some of them were even more powerful than the Tao family. Jian Chen frowned. He had expected this, but it had happened a little too soon. After all, he had only just returned to the Turtle clan. However, Jian Chen did not plan on receiving the people personally. He knew that the true intention of the people who had come was only to confirm whether the Turtle clan possessed an emperor or not. He just got Tie Ta to stay behind, so he could receive the guests instead of himself. Jian Chen instead hurried off with Qing Yixuan, headed to the treasury of the Tao family. The location of the treasury was over a hundred thousand kilometers away from the Turtle clan in a swamp. The environment of the swamp was horrendous, teeming with danger and covered in a layer of potent poisonous gas all year round. Jian Chen and Qing Yixuan ignored the gas and made their way to the depths. There they came across a valley that seemed to open up the further in they headed. Suddenly, a dark shadow attacked. It struck like lightning, charging at Jian Chen and Qing Yixuan. It was coated in an extremely potent poisonous gas. Even Saint Kings could not treat it carelessly. Jian Chen did not even glance at it. Extending his finger, he shot out a finger-sized sword Qi, which pierced the shadow. You're reading novel Chaotic Sword God Chapter 1337: Treasury Of The Tao Family (One) online at LightNovelFree.com. You can use the follow function to bookmark your favorite novel ( Only for registered users ). If you find any errors ( broken links, can't load photos, etc.. ), Please let us know so we can fix it as soon as possible. And when you start a conversation or debate about a certain topic with other people, please do not offend them just because you don't like their opinions. 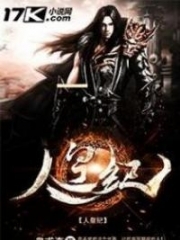 You're reading Chaotic Sword God Chapter 1337: Treasury Of The Tao Family (One). This novel has been translated by Updating. 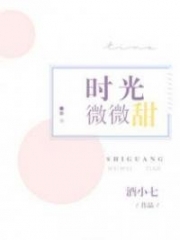 Author: Xin Xing Xiao Yao already has 4164 views. Current Time is Apr-18-2019 18:51:06 PM.